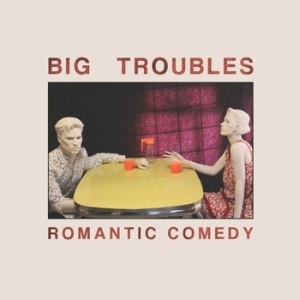 Big Troubles may have started off as a lo-fi, Britpop ripoff band (i.e., their 2010 debut), but clarity and a presumably larger recording budget have ensued. Their latest, Romantic Comedy, is defined by bursts of jangly guitars, feedback, and an early '90s alternative rock badge of honor. Their challenge really is discovering how to distinguish themselves from every other band on their Slumberland label. “Minor Keys” could easily have popped up on a Pains of Being Pure At Heart album without missing a beat. Dreamy, modern indie pop is as abundant as rain in Seattle so why am I listening to Romantic Comedy over and over? Simple, there’s not a miss on the entire album. Big riffs and even bigger chorus lines should help you to leave your Yuck obsession far behind.